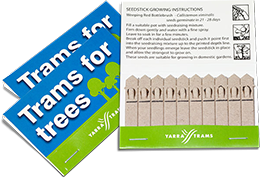 Our Seedsticks 10 stick pack was the first product we manufactured in Australia in 2001. Pack size when stapled and folded is 75mm x 50mm. Minimum order quantity is 250 units.